Brutes.io is not available anymore. Let's try a new game! 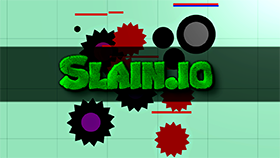 Bash other monsters to grow the most dangerous one and then dominate a chaotic world in Brutes.io! 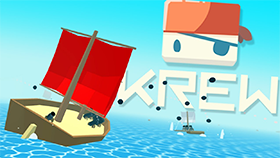 Feel excited about a new awesome game in the .io series on our site? No time for waiting too long! Jump into Grimm Graveyard with your colorful monster now! Start moving around the graveyard to find the enemies’ location and run towards to attack. But, you need to learn how to punch to knock out other opponents at first. By using a quick punch or charging it up for more power, you can totally smash them to collect some Growth Orbs. Keep in mind that these orbs are important for turning into the biggest monsters in the room and recovering your Stun and Health Meters. Of course, observing both meters is necessary as well. If the Health Meter is low, yet the Stun is high, let your monster disengage from the fight to recover immediately. Interestingly, this game offers a couple of great Pickups Points with awesome items that can support you best. For instance, you can receive powerful weapons such as bombs, rockets or disguise as a coffin or box to avoid the bigger monsters. Since you’re a little monster at the beginning, you can run and dodge quicker than the bigger ones. Please make use of this wonderful ability to attack the smaller enemies and steal as much Growth Orbs as possible. However, don’t forget that your main objective is to take the final evolvement to get more Health and more Damage. And finally, you will rule this room as your own world with the highest score on the leaderboard. Remember that the score is a combination of your killed monsters and collected orbs. 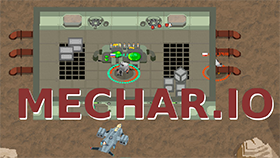 Depending on each different server, you can face up with a large number of enemies or just some. So, the best thing to upgrade your own monster is to join the server that holds many opponents on the same level. Time to finish Brutes.io by evolving the utmost monster of Behemoth with a gold crown on the head! Believe that you can complete this crazy multiplayer fighting game that is attracting numerous players all over the world? Play and explore interesting things now! The right mouse, WASD or arrow key are to guide the monster. The left mouse, Enter or Spacebar is to punch the enemies. In case that you are playing Brutes.io on gamepad , tap left joystick to move and X/A button to punch. To protect your monster from danger, the first most important thing is to get away from the biggest one with a crown on his head because he can kill you just one hit. Take your time to knock out other smaller monsters before facing up with him.